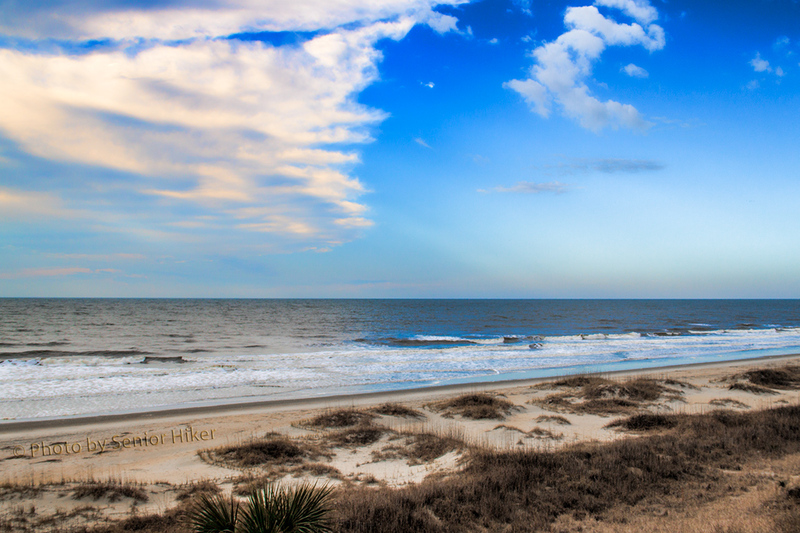 The sea and sky at Ocean Isle Beach, North Carolina. January 26, 2015. There is, to me, something special about the sky and the ocean together. It may be that the ocean magnifies the beauty of the sky. White clouds in a beautiful sky above the sea reminds of the glories of God’s creation. A fog bank casts sparkling light on the horizon. Ocean Isle Beach, North Carolina. A fog bank out at sea causes the morning sunlight to sparkle on the horizon. 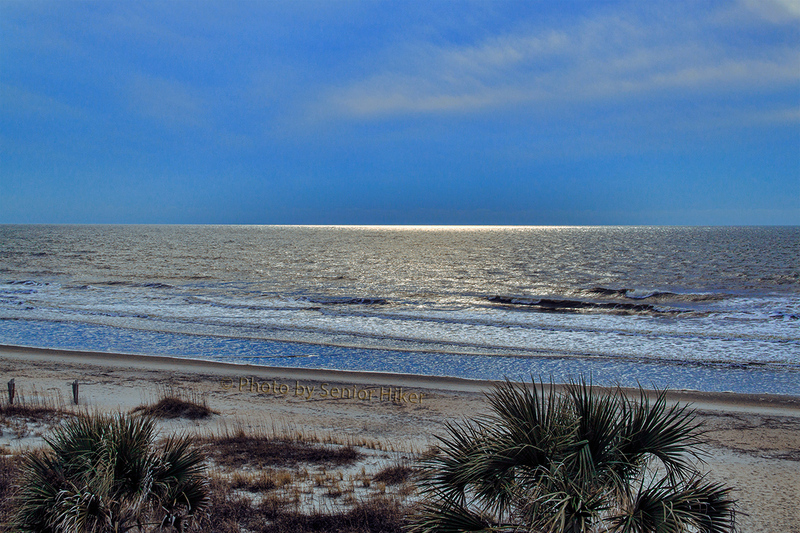 Morning light in the sky and on the beach, Ocean Isle Beach, North Carolina. January 27, 2015. 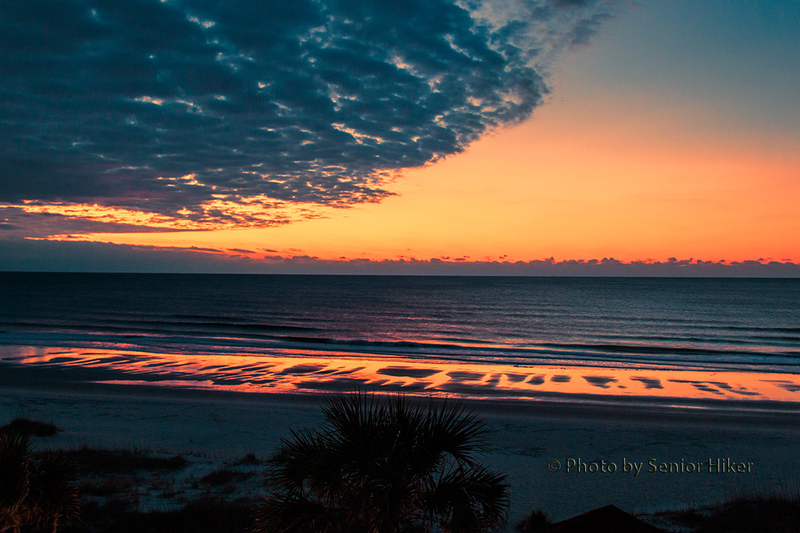 Morning on another day is announced by a fiery red sky and reflections on the sand. 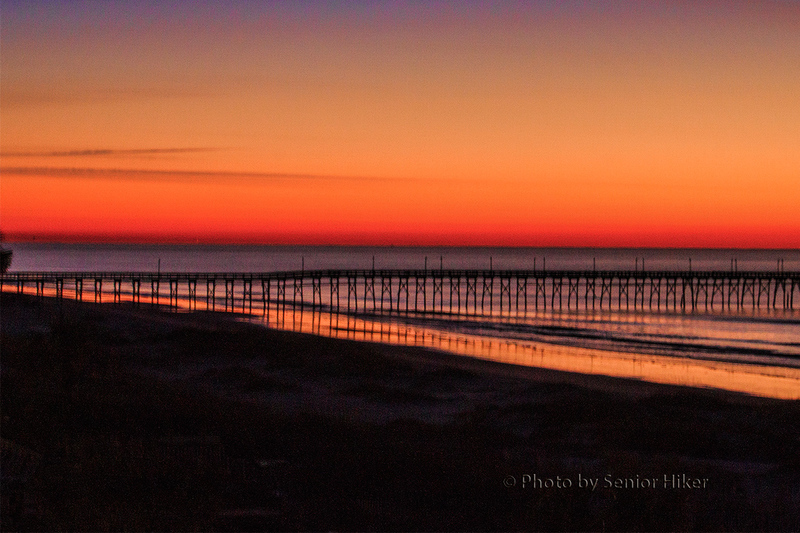 Ocean Isle Beach, North Carolina, pier in the morning light. January 29, 2015. Sunrise on our last morning at the beach gave us a silhouette of the Ocean Isle Beach pier with the red sky reflected in the water. 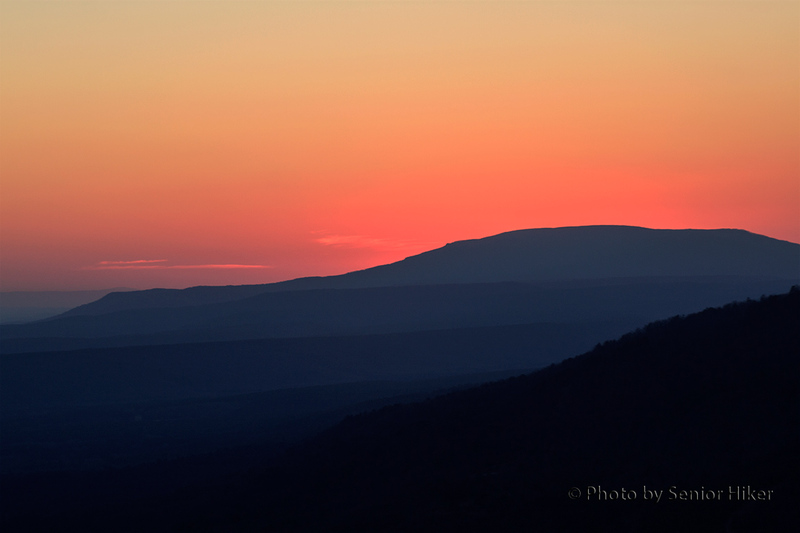 Sunset at Mt. Nebo, Arkansas. February 26, 2014. If you visited here very often, you know that one of our favorite spots is Mt. Nebo State Park in Arkansas. We get the same cabin for each visit, and we can sit on the back porch and enjoy some spectacular sunsets. 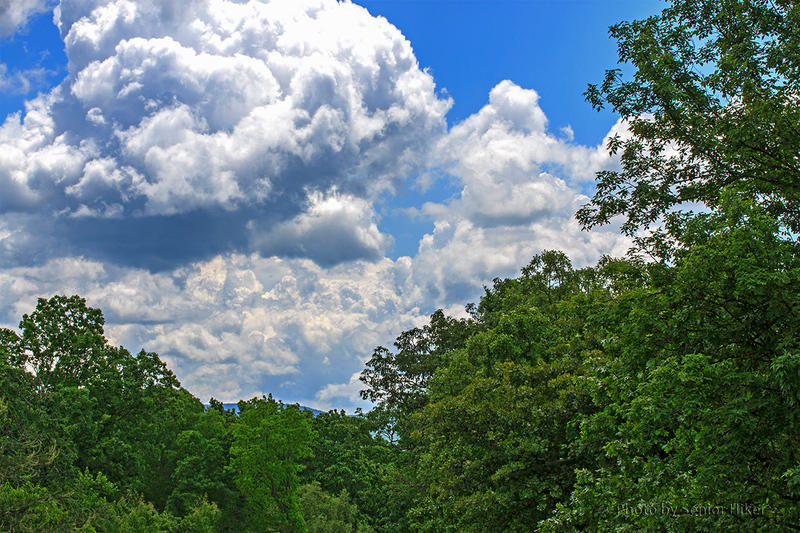 Sometimes the sky is cloudy, which creates magnificent cloudscapes in the sky. The evening I took these pictures (February 26, 2014) was perfectly clear, and the color of the sky was simply magnificent. 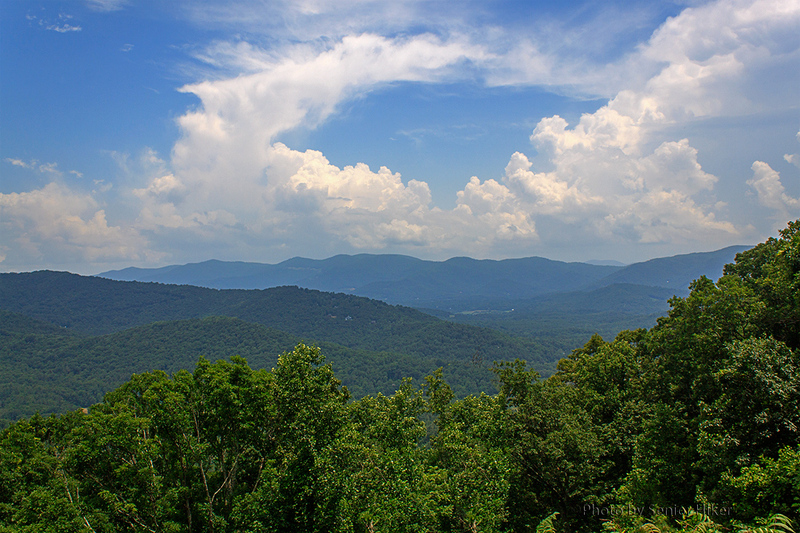 The view from Signal Knob Overlook on Skyline Drive, Virginia. April 8, 2014. Earlier this month Betsy and I were in Virginia, and we drove along the northern end of Skyline Drive on a beautiful morning. When we stopped at the Signal Knob Overlook, I got this panorama of the view we enjoyed. The sky, mountains and valley combined to give us a gorgeous view. 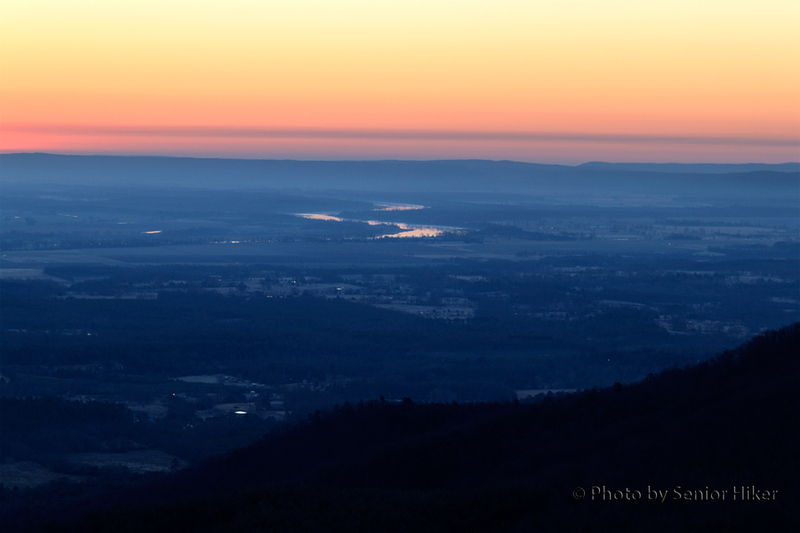 The pre-dawn view from Sunrise Point on Mt. Nebo, Arkansas. February 27, 2014. When Betsy and I visit Mt. 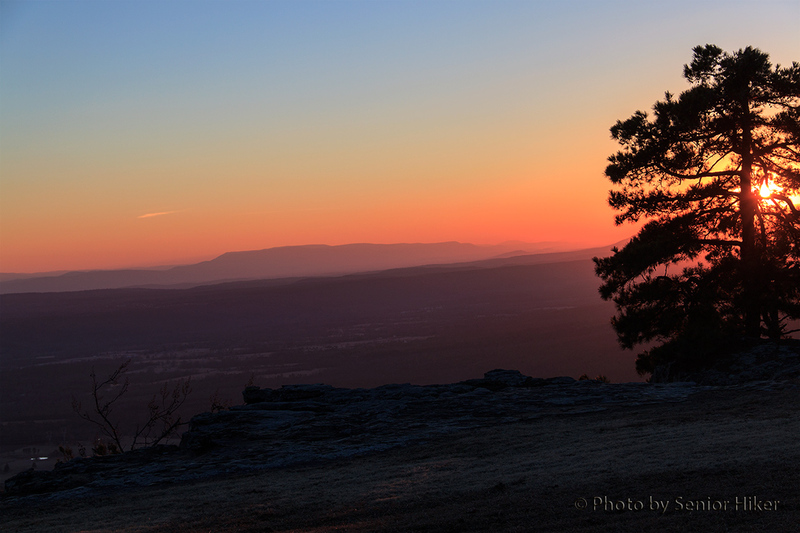 Nebo in Arkansas, we tend to get up a little earlier than usual so we can drive to Sunrise Point to watch the sun come up. 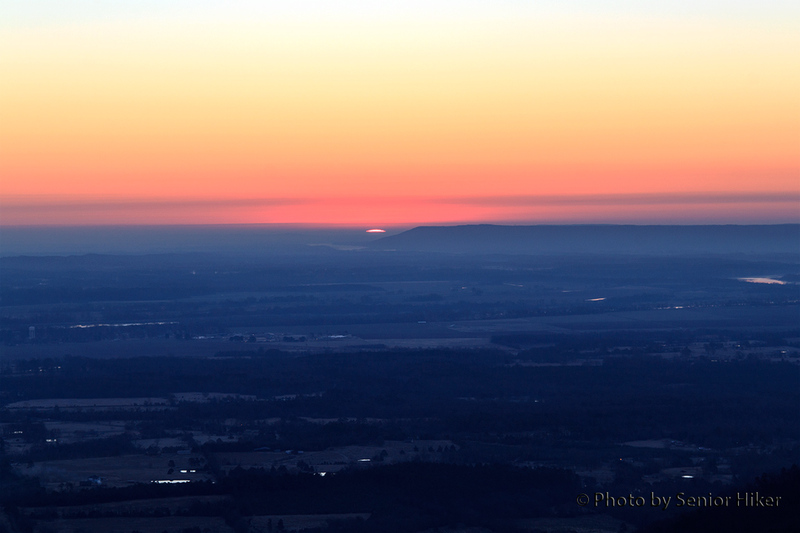 If the visibility is good, we can see much of the Arrkansas River valley below us before the sun makes its appearance. The sun making its first appearance across the Arkansas River valley. February 27, 2014. 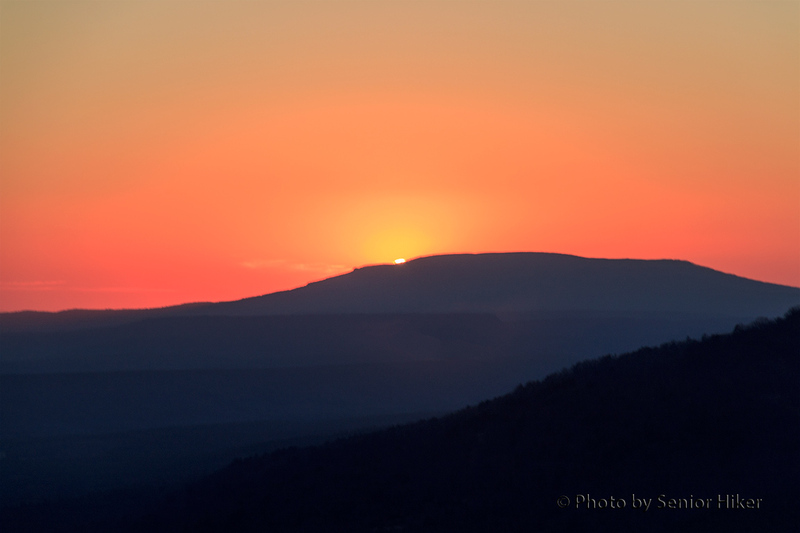 In late February we can catch our first glimpse of the sun just beyond the end of Petit Jean Mountain across the valley. The day is off to a great start on Mt. Nebo, Arkansas. February 27, 2014. It doesn’t take long before the sun is completely up filling the sky with light reflected in the waters of the river below us. It’s always a gorgeous sight, and gets our day off to a wonderful start. A full moon over Fairfield Glade, Tennessee. December 16, 2013. 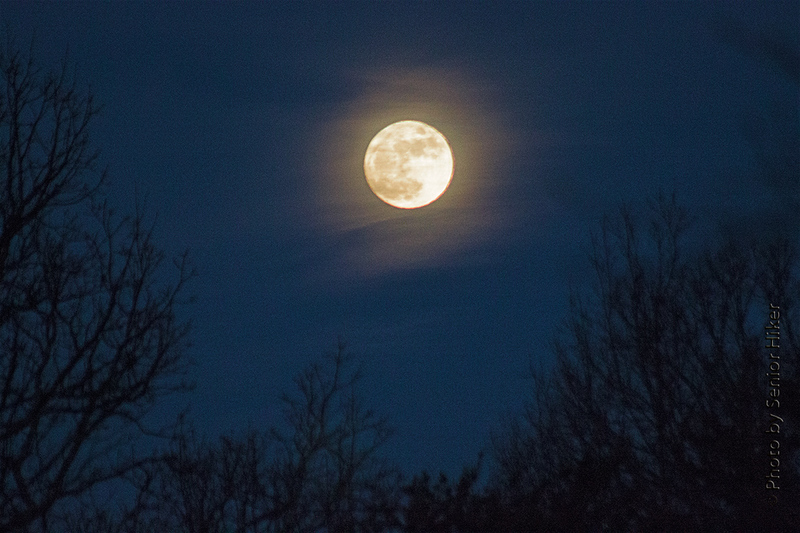 While putting up the bird feeders one Monday evening in December, Betsy and I noticed the nearly-full moon rising through the trees. I grabbed my camera and walked out onto the golf course to get a view without the trees blocking the view. Full moon over Fairfield Glade, Tennessee. December 16, 2013. 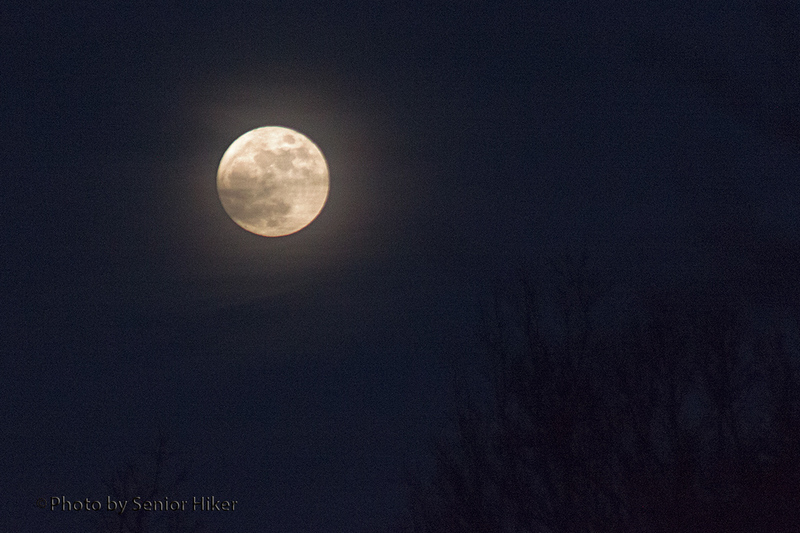 It was a beautiful moon on a crisp, chilly evening. 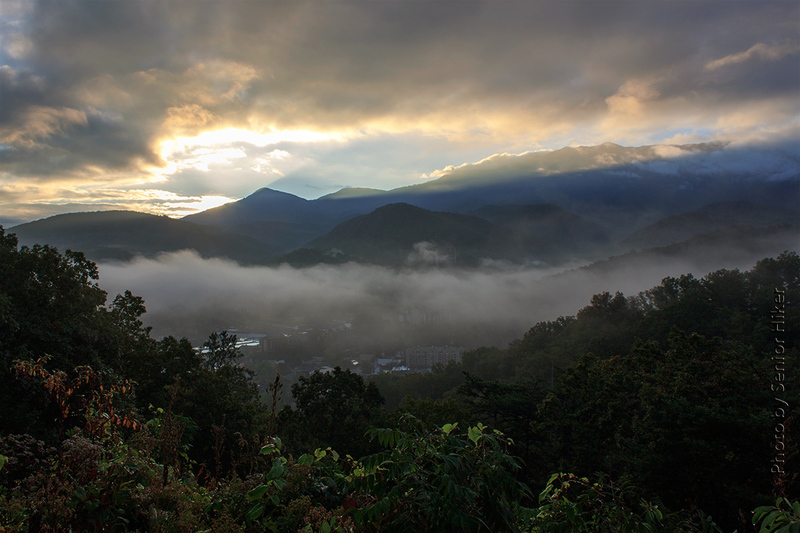 Sunrise over the mountains around Gatlinburg, Tennessee. October 14, 2013. 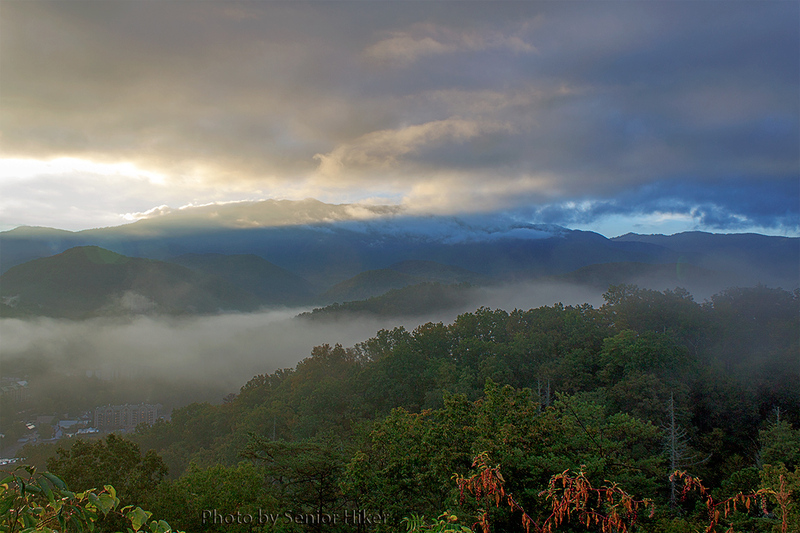 A couple of weeks ago Betsy and I got up very early in the morning to drive to the Smokies. We knew that if we could get to the Gatlinburg Bypass, we might catch the sun coming up over the mountains, and if we were really lucky, we might capture some fog in the valley. You can judge how well we did from the picture above. Mist in the valley near Gatlinburg, Tennessee. October 14, 2013. We had to get up at 4 o’clock in the morning to make it to the bypass by sunrise. At least the traffic through Knoxville was fairly light at that hour of the morning. 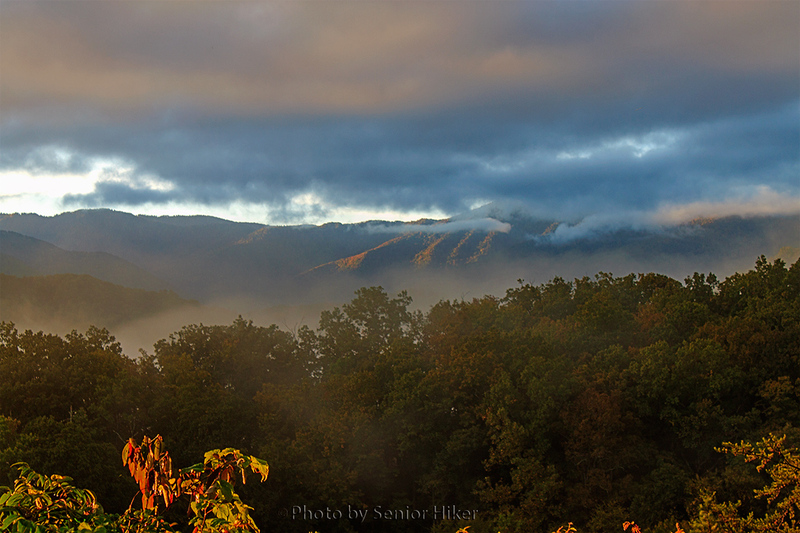 Early morning sunlight from the Gatlinburg Bypass, Gatlinburg, Tennessee. October 14, 2013. As we stood at the overlook getting these pictures we decided getting up that early was worthwhile, but I must admit that we slept in the next morning. The Governor’s Palace at Colonial Williamsburg. September 21, 2013. 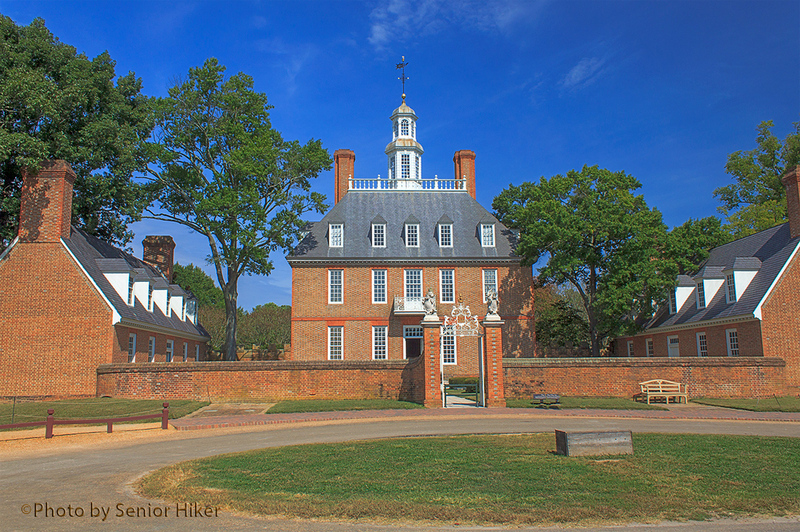 Our first stop on our recent vacation was Colonial Williamsburg, Virginia. We walked through the garden behind the Governor’s Palace under a beautiful blue sky. 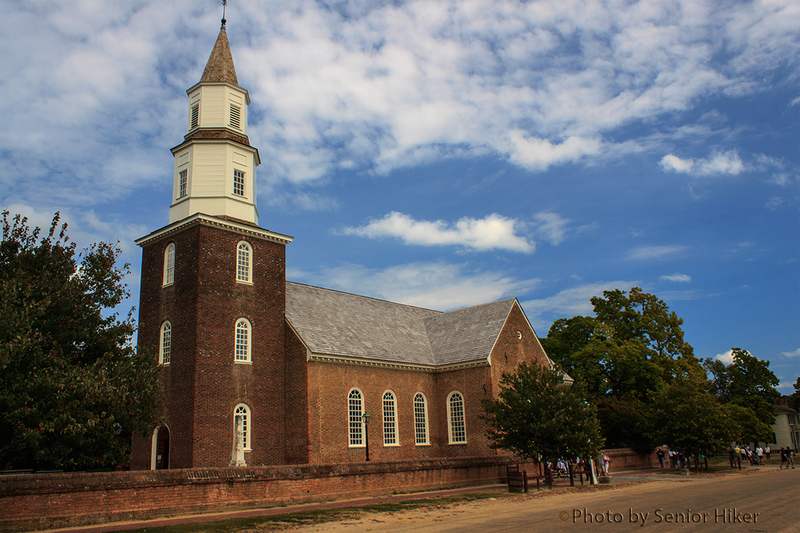 Bruton Parish Church, Williamsburg, Virginia. September 21, 2013. One of the main purposes for our trip was to enable Betsy to do some research at Bruton Parish. Her eight-times great grandfather, Thomas Ballard, was a member of the Vestry of the church from 1674 – 1683. By the time we left the church there were some scattered light clouds in the sky. 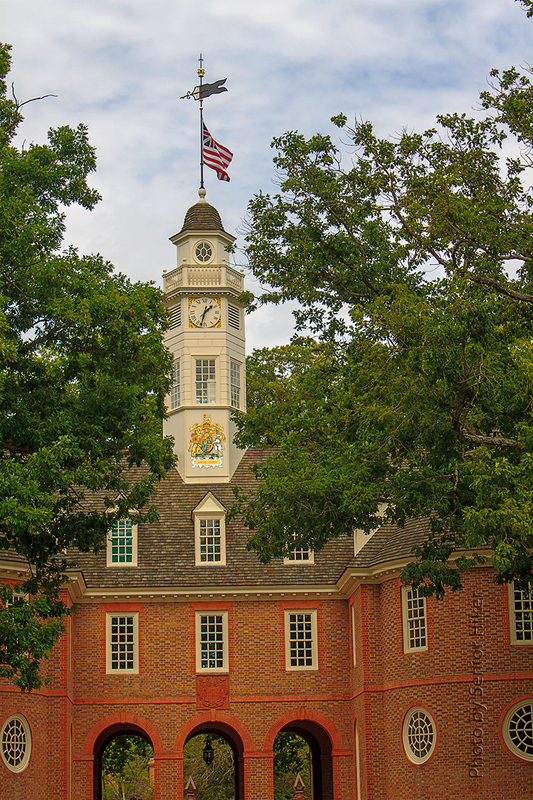 The Capitol in Colonial Williamsburg, Virginia. September 21, 2013. It was even cloudier when we walked over to the Capitol, but it was still a very pretty day. All in all it was a nearly perfect day for visiting Colonial Williamsburg. Evening Sky in Fairfield Glade, Tennessee. July 17, 2013. 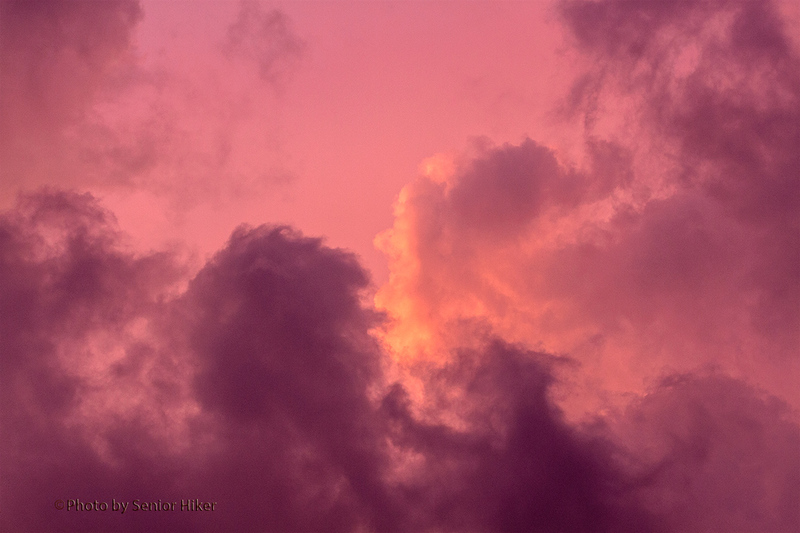 One evening last month, as the sun was setting, I noticed an unusual pink-purple cast to the sky. 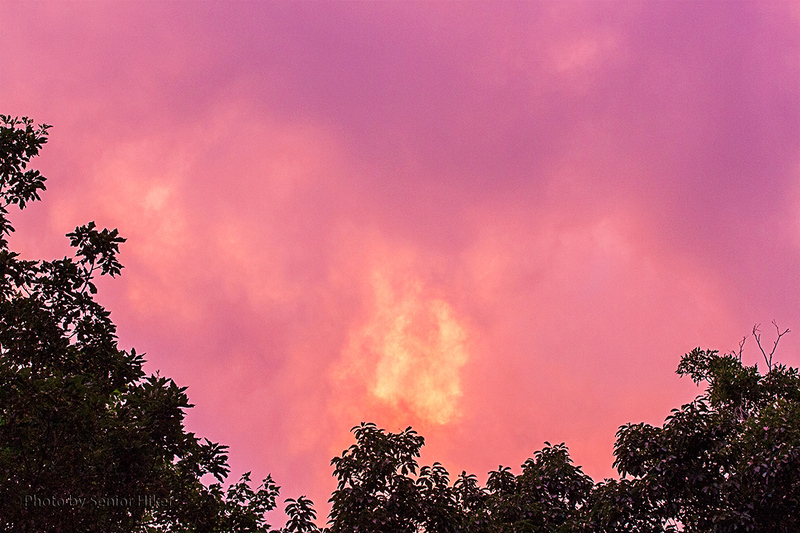 The sun had dropped below the Plateau, but the sky above our house seemed to be getting brighter and more vibrant. Of course I grabbed my camera and headed outside. 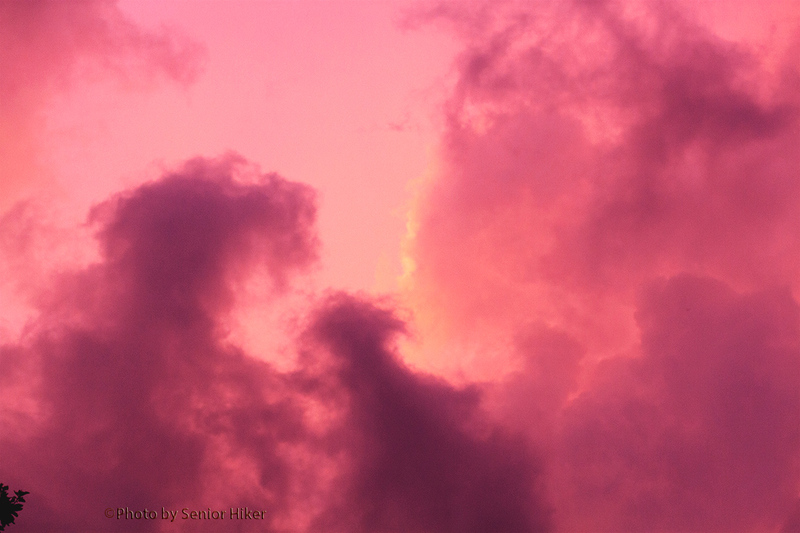 There were clouds overhead, and I tried to capture the light and shadows in that pink-purple sky. I really don’t think these photos do justice to that amazing sky, but I like them well enough that I wanted to share them with you. The view from Tanbark Ridge Overlook, Blue Ridge Parkway, North Carolina. June 26, 2013. Betsy and I met up with my son and his family in North Carolina late last month, and we used that as an excuse to drive along the Blue Ridge Parkway. The Blue Ridge Parkway is sometimes called America’s most beautiful roadway, and I’m not about to argue with that. 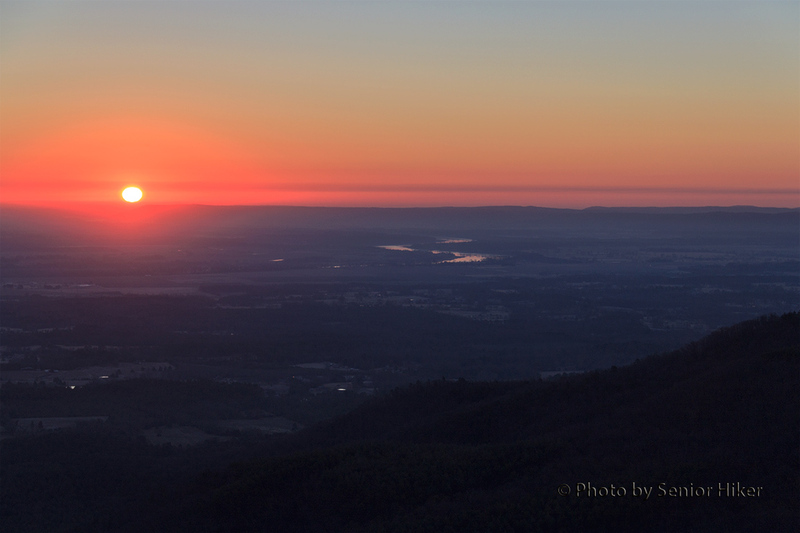 The photo above was taken at the Tanbark Ridge Overlook north of Asheville. The hole in the clouds was what first attracted my attention, but the photo also shows why the mountains are called the Blue Ridge Mountains. Glade sky after the downpours, Fairfield Glade, Tennessee. May 23, 2013. May was a very wet month here on the Cumberland Plateau. We had over six inches of rain two different weeks in the month. 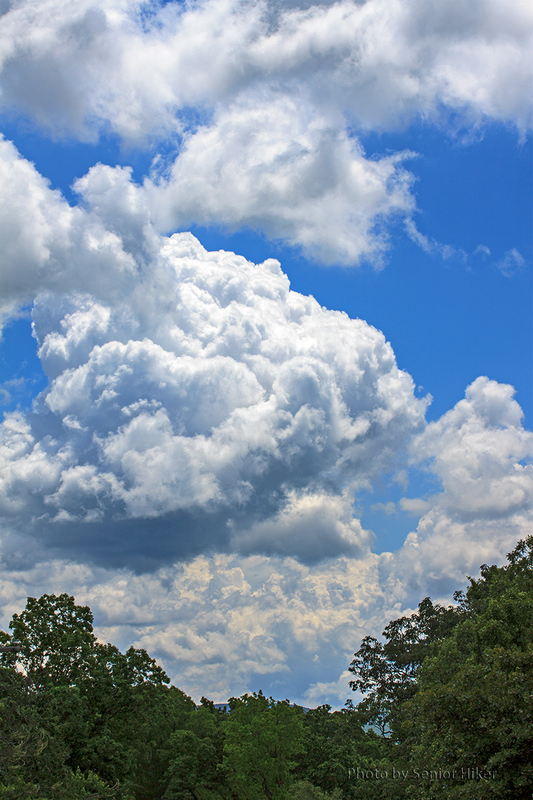 The day after our last big downpour I was working in the front yard and noticed this pretty blue cloud-filled skies. I got these photos from the street in front of our house.